David Attenborough (1926 – ) is one of the most widely respected TV broadcasters and has become known as the face and voice of natural history documentaries. His career in broadcasting has stretched over more than a half a century from 1952. David is the younger brother of actor, Richard Attenborough. 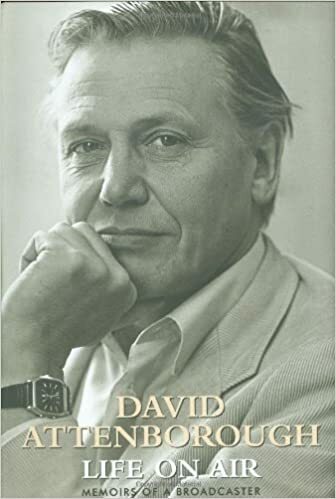 David was brought up in Leicester and went to Clare College, Cambridge to study Natural Sciences; after graduating in 1947, he was called up for two years national service in the Navy. On leaving the navy, he briefly worked as an editor for a children’s book for a publishing company. However, in 1950 he applied to the BBC for a job. Initially, he was rejected, but his CV remained on file and shortly afterwards was given a three months training schedule to work as a BBC broadcaster. He proved to be a good worker and quickly progressed through the ranks of fledgeling BBC TV service. He became in charge of all non-fiction broadcasts and was soon associated with various natural history programmes such as The Pattern of Animals and Zoo Quest. From 1965 to 1969 Attenborough was the controller of BBC2. He initiated a wide range of programmes including live Snooker, Match of the Day, the Likely Lads and Mastermind. David later said he felt BBC2 should maintain a good range of diversity. The Trials of Life (1990). 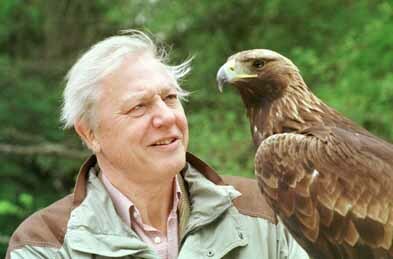 He also narrated over 250 programmes of Wildlife on One. The key to David’s appeal is his ability to share his genuine enthusiasm and love for wildlife. His distinctive and calming voice has become synonymous with wildlife broadcasting. Interestingly a reader’s survey of Readers’ Digest found that David Attenborough was the most trusted of British celebrities. In recent years David has become increasingly outspoken on issues such as environmental damage, global warming and extinction of particular species. He has stated that human overpopulation and global warming (caused by human activity) are the root cause of much of the world’s growing environmental problems. He has lent his voice to organisations such as WWF in their fight to protect certain species and campaign for wildlife. In the last episode of “State of the Planet”, he summed up his feelings with this statement. David has expressed the view that he is agnostic. He is critical of the teaching of creationism and believes evolution should play a greater role. David married Jane Elizabeth Ebsworth Oriel in 1950, she died in 1997. He has two children.